Happy Tax Day to the United States Government...and you, if you feel like celebrating. The problem, as we criminal defense lawyers see it? This app tracks your location, as most fitness tracker apps do, so it can log mileage for walks or runs, for example; however, if law enforcement wants that information from your average fitness tracker app, they are going to have to go to that company and ask nicely (most companies will say no as they have determined that the cost of providing their customers’ data to the government is much more expensive than the pain of not acquiescing to the government’s requests), or they have to go to court and get a search warrant ordering that company to provide them the records. And in order to get a search warrant, they must demonstrate to the court’s satisfaction that they have probable cause to believe evidence of a crime will be located in the information they want that company to disclose. This app? Gives them access to your location data without any type of court order or supervision. This app requests your phone provide your precise and approximate location, that it have permission to read the contents of your USB storage, and have full network access, prevent your phone from sleeping, and read your Google service configuration. 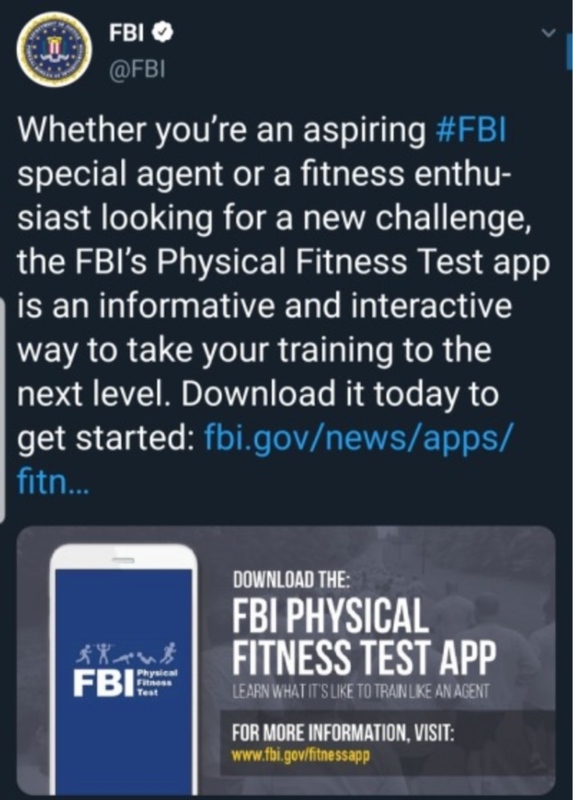 There may be nothing harmful, here, but there are so many non-governmental fitness tracker apps, we wouldn't use one that willingly gives information on our every move to the government. Be thoughtful about the apps you install on your phone and think hard before you willingly become a witness against yourself. If you or someone you know is facing criminal charges and your location data is being used against you, give us a call at (318) 459-9111 to set up a consult. Remember way back in December when we talked about civil asset forfeiture? Well, on February 20, the United States Supreme Court issued a ruling in Timbs v. Indiana that could change a lot of that. In that case, Tyson Timbs pleaded guilty to a drug and theft charge in state court. The maximum monetary penalty for those offenses was $10,000. At the time of his arrest, law enforcement had seized a Land Rover that Timbs had purchased for $42,000 using proceeds from his father’s life insurance. Law enforcement alleged that Timbs had used the vehicle to transport heroin, justifying their seizure of the vehicle. After litigation in the state courts over the forfeiture of a vehicle valued at over four times the potential penalty for his drug offense, the United States Supreme Court agreed to hear the case. The USSC ruled that the Eighth Amendment’s protections against excessive fines apply to the states under the Due Process Clause of the Fourteenth Amendment and, in keeping with its prior ruling in Austin v. United States, 509 U.S. 602, held that these types of forfeitures fall within the protections of the clauses cited above when they are at least partially punitive. This ruling strikes a blow against civil forfeitures by state law enforcement agencies across the country. If you or someone you know is facing criminal charges and the government is also attempting to seize their assets, give us a call at (318) 459-9111 to set up a consult. What are the consequences of violating a protective order? On a first conviction that does not involve physical violence, the offender shall be fined not more than $500 or imprisoned for not more than 6 months, or both. On a second conviction that does not involve physical violence, the offender shall be fined not more than $1,000 or imprisoned with or without hard labor for not less than 14 days nor more than 2 years. The first 14 days must be served without benefit of probation, parole, or suspension of sentence. If the violation involves physical violence, the offender shall be sentenced to pay a fine of not more than $1,000 and imprisoned with or without hard labor for not less than 3 months nor more than 2 years. The first 30 days of the sentence shall be without benefit of probation, parole, or suspension of sentence. On a second or subsequent conviction within 5 years involving physical violence, the offender shall be sentenced to pay a fine of not more than $2,000 and imprisoned with or without hard labor for not less than 1 year nor more than 5 years. The first year without benefit of probation, parole, or suspension of sentence. Louisiana Code of Criminal Procedure Article 320(K) states that a violation of any bond condition (including the violation of a protective order issued as a condition of bond) shall be considered constructive contempt of court and shall result in the revocation of bail and the issuance of a bench warrant for the defendant’s arrest or remanding the defendant to custody. The Court may then increase the defendant’s bail, add additional conditions to his bail, or hold him without bail pending trial. If you or someone you know is facing charges for violating a protective order, please contact our office to set up a consult at (318) 459-9111. What is the difference between a civli protective order and a criminal protective order? A criminal protective order is issued in conjunction with a criminal charge and most often as a condition of the defendant’s bond obligation. A civil protective order can be issued entirely independently of a criminal investigation and for grounds that may not rise to the level of criminal conduct. Civil protective orders are governed by Louisiana Revised Statutes, Title 46, Chapters 28 & 28-a, c & d; specifically: §§2131, et seq., 2151, et seq., 2171, et seq., and 2181, et seq. A civil protective order can be filed on behalf of the petitioner alone, the petitioner’s minor children, alone, or both. A Temporary Restraining Order (TRO) shall issue pending a hearing on the permanent order if the petitioner shows an immediate and present danger of abuse in the petition. In any case in which a defendant is accused of using force or violence against a household member or dating partner (as defined in the statute), the court is required to hold a contradictory hearing before setting bail to determine the conditions of bail and whether the defendant should be held without bail. If the court determines that the defendant poses a threat or danger to the victim, the court shall order that the defendant refrain from going near the victim’s home, school, or place of employment, and shall refrain from having any contact with the victim whatsoever. These conditions will remain in place (unless modified) while the defendant is on bail (i.e. : until the criminal case has concluded). If you or someone you know is dealing with a civil or criminal protective order and has questions, please call our office at (318) 459-9111. What is a protective order and what should you do if you are served with one? In Louisiana there are several types of protective orders. They fall into two main categories: criminal and civil. In either case, protective orders are issued because there is a threat of harm or harassment from the defendant in the action to the petitioner in the action. Protective orders are not limited to individuals who are married or in intimate relationships and can be issued in situations where one individual is stalking or simply harassing another individual. The purpose of a protective order is to prohibit contact between the petitioner and the defendant and to stop the behavior, whether it be physical violence or harassment that is the subject of the protective order. Protective orders are usually filed by filling out a form available at the Clerk of Court’s office. If you are served with one, you should first note specifically what provisions the Court has ordered you to comply with. The first document you will be served with is a Temporary Restraining Order (or TRO) which will be in place until the hearing date listed in the court’s order. It may prohibit you to go to certain locations or make contact with certain people. In proceedings involving people in relationships, it may permit use of certain property (homes or vehicles, for example) to one of the parties. You should contact an attorney as soon as possible upon receiving the TRO because it is likely you will have a hearing date scheduled within two weeks. The purpose of the hearing is to determine whether or not the court will issue a Permanent Restraining Order. At this hearing, you will be permitted to present witnesses and to testify on your own behalf. A protective order not only has consequences with regard to your contact with the individual filing it. If a protective order is granted, you can lose your concealed carry permit, you will be ordered to dispose of or to surrender to law enforcement all of your firearms, and you may be required to report the existence of the protective order to employers or licensing agencies, depending on the terms of your employment. If you or someone you know has recently been served with a TRO, call us at (318) 459-9111 to schedule a consult. Recently, we’ve caught up on Serial: Season Three. This is a really interesting view into the inner workings of a criminal courthouse. Take a listen and then come to our facebook and tell us what you thought! And if you find yourself in need of assistance with a criminal case, call us at (318) 459-9111 to set up a consult. Many people are aware that a DWI conviction will result in an order to pay a fine and serve some jail time or spend some time on probation with driver improvement classes, community service, and substance abuse treatment; however, many people are not aware of the non-criminal consequences that can result from a DWI arrest or conviction. If you are arrested for DWI, you will be asked to submit a breath sample or to a urine or blood test to determine your Blood Alcohol Content (BAC). If you refuse or submit and your BAC is above a .08 (or .01 if you are under 21), the Louisiana Department of Motor Vehicles will suspend your driving privileges. This suspension will occur automatically 30 days after your arrest unless you file an appeal using a form provided to you at the time of your arrest. If you hold a state license, for example, if you are a nurse or attorney, you are required to report arrests to your licensing agency. Failure to do so can cause your license to be suspended or disciplinary proceedings to be instituted. A DWI conviction will result in your driver’s license being suspended again. This suspension will run concurrently with (i.e., at the same time as) the suspension related to the breath test; but there is no right to appeal this suspension. For both suspensions, you may be eligible for a hardship license if you comply with certain requirements which may include the installation of an Ignition Interlock Device in your vehicle and the purchase of SR-22 insurance. Your car insurance rates may increase or your car insurance may cancel your policy entirely after a DWI conviction. You may also be required to purchase additional “high-risk” insurance in order to get your driver’s license reinstated by the DMV. If you or someone you know has been arrested for DWI, call us at (318) 459-9111 to set up a consult to discuss the criminal and non-criminal consequences of such an arrest. 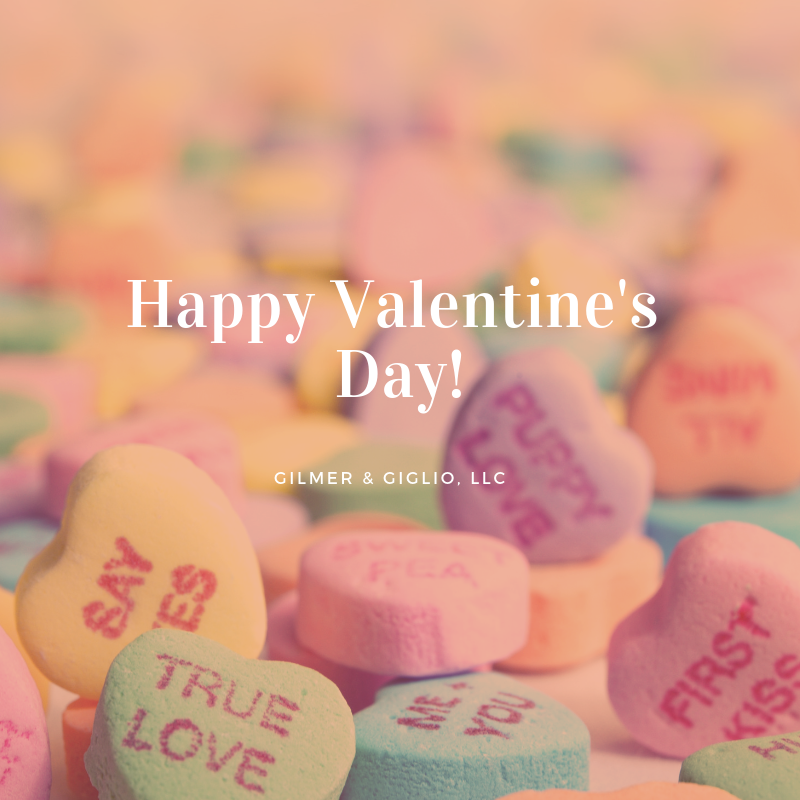 Happy Valentine's Day from Gilmer & Giglio! Masks are legal at Mardi Gras! Bear in mind that masks are permissible only after a permit is obtained from the local law enforcement agency. Have a safe and happy masked or unmasked Mardi Gras! If you or anyone you know needs assistance with some Mardi Gras related mischief, please call our office at (318) 459-9111 or click the “contact us” link on our website! Have a safe (and legal) time at Mardi Gras this year! Mardi Gras in Louisiana is a time of celebration and revelry! We love the parades and bals and fun that come to our community every year! That said, we want our clients, family, and friends to have a safe and legal Mardi Gras, as well. Some common arrests we see during this time of year involve alcohol: driving while intoxicated and public drunkeness or disturbing the peace. We also often see people arrested for criminal property damage and resisting an officer, again, often resulting from alcohol consumption and large unruly crowds. All of these offenses (unless this is a third or fourth offense DWI) are misdemeanors but, like any criminal charge, can cause vast and far-reaching consequences in your personal and professional life. If you or someone you know runs into legal trouble at Mardi Gras festivities this year, please call our office at (318) 459-9111 or click the “contact us” link on our website! 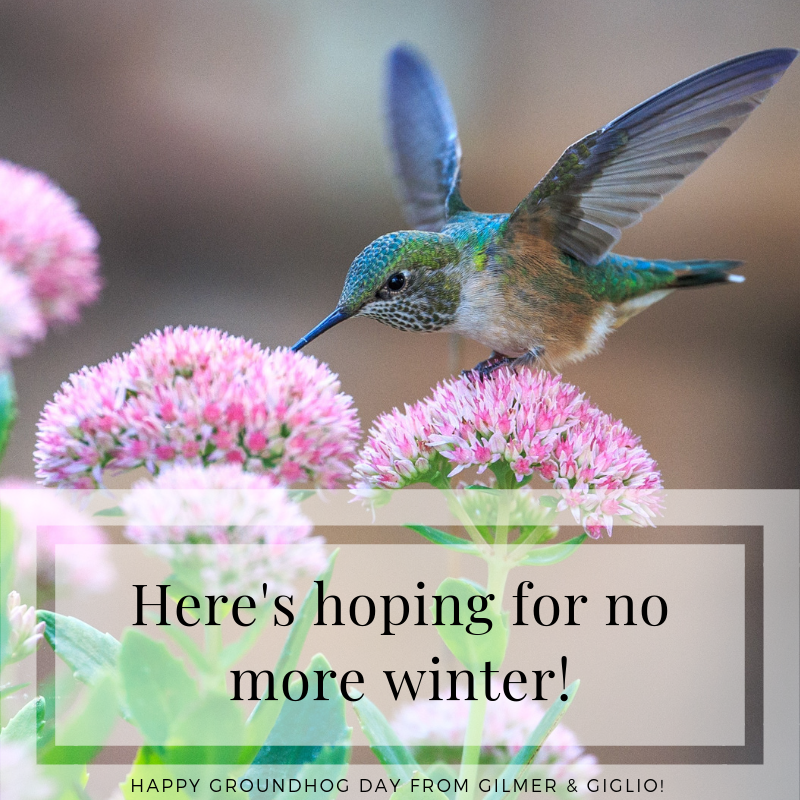 Happy Groundhog Day from Gilmer & Giglio! How much will an expungement cost? Some parishes will charge slightly less or more to the Clerk of Court and in some circumstances, a DWI arrest will cost an additional $50 because certain records have to be sent to the Department of Motor Vehicles, along with the documentation of the expungement. In addition to these costs, a background check must be filed with the expungement, which costs $26 from Louisiana State Police. In order to obtain the background check, you must send a fingerprint card to the LSP and the cost will vary by police department. If you are eligible for expungement because of sentencing pursuant to Article 893 or 894, there may be costs associated with filing the motion to set aside. *Attorney Fees are charged separately from expenses and will vary by attorney. If you would like to set up a consult to discuss an expungement, please call our office at (318) 459-9111 or click the “contact us” link on our website! I need a state license, will an expungement help me? We get asked all the time about the benefits of an expungement when applying for a job. For your average job that is simply going to require a background check and doesn’t have additional licensing requirements, often an expungement will help you. In the event your job requires more than a simple background check, or has specific licensing requirements, you may be required to disclose an arrest even if you have had your record expunged. or any person or entity requesting a record of all criminal arrests and convictions pursuant to R.S. 15:587.1, or as otherwise provided by law. Despite the fact that your un-expunged record will still be visible if you are applying to one of the above state agencies for a license to work in Louisiana, it is often a good idea to obtain the expungement anyway. The fact that your record has been expunged will also be known to the above agencies and it will show that you are either a first-time offender who was sentenced pursuant to Articles 893 or 894 or that you have served a 5 or 10 year cleansing period with no subsequent arrests so as to be eligible for the expungement. If you or someone you know is having difficulty obtaining employment as a result of a criminal arrest and would like to know if you are eligible for expungement, please contact our office at (318) 459-9111 for a consultation. Anywhere from 6 - 9 months from beginning to end. (1) Obtain a background check from the Louisiana State Police. This usually takes anywhere from 30-60 days to obtain once you have sent the fees and fingerprints off to the Bureau of Criminal Identification and Information. (2) Obtain all minutes and fill out your forms and then file for the expungement. (3) Wait. The State has 60 days to file an objection to the Motion for Expungement. (4) Depending on what jurisdiction the expungement is filed in, the procedure at this point will differ slightly. Some parishes will grant the expungement automatically if no objection is filed; some will require a hearing even if no objection is filed. A hearing will be required if the state objects. (5) Note that your rap sheet may still show the arrest until you have received certification letters from the arresting agency and Louisiana State Police confirming that their records have been removed from public view. Because so much of the process is dependent on the actions of third parties (LSP, the State of Louisiana, the court), I always recommend clients begin the expungement process as early as possible in the event they will need their record cleared for a specific purpose. If you have a conviction you’d like to know if you can remove from your record, give us a call at (318) 459-9111.